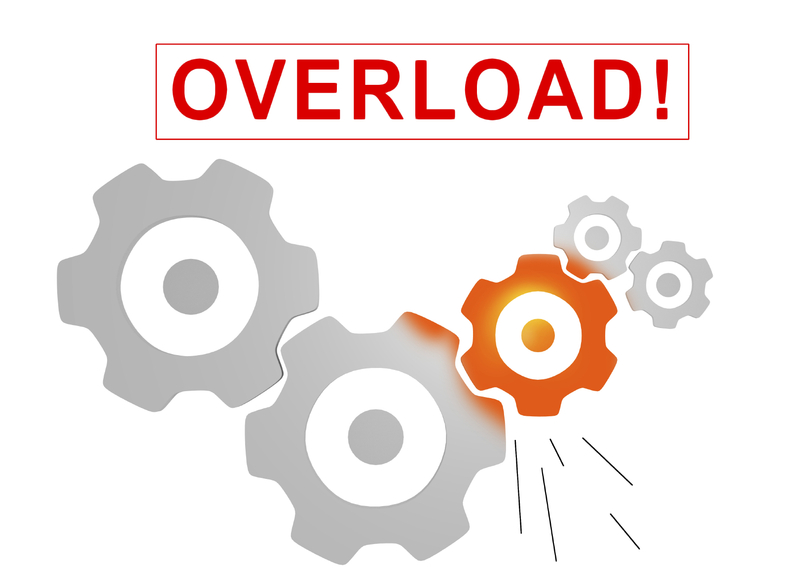 Are You Overloaded? | Crossmedia451, Inc.
Do you feel as if you are overwhelmed by the technology and social media choices for your business? Fear not. Technology and social media are simply tools to be used in your marketing or other business strategies. Do not be intimidated. Put together your business plan as you usually do. Remember to think about the fundamentals of marketing: ARG. Do you want to Acquire new customers? Do you want to Retain your existing customers? Do you want to Grow your business with your existing customers? Make your plan simple and measurable, with customer and sales goals that you feel can be met, or with some “stretch” goals. Then determine the best way to reach those customers and markets. Is it direct mail? Is it via social media? Is it email? Is it a billboard? Who are those customers? What are their demographics? Do you know them? Technology applications are simply ways to extend the conversation with your customers. How do the people in your business talk to your customers today? The ways that work best can often be used in social media and on your web site. Is your conversation style more formal or is it informal? Authenticity matters and your customers will know if your style is authentic. Social media and general marketing plans are not “one and done.” They take care and nurturing no matter what media you are using. If you have someone on your staff – usually not the business owner – who can focus on the execution of your strategy, great! Use that individual and the skills he or she has. If you cannot commit someone on your staff to this work, and want to hire someone external, be sure that person or firm understands your business’ personality and your goals. Your strategy will lead you to the best methods of communication with your various audiences. And if something doesn’t work, then stop doing it and try an alternative. Measure your success, but remember that marketing is an art and not a science, even when using data from any analytics tools you may have. Take a deep breath, and move forward. It will be OK. This entry was posted in Local business, Lovemarks, marketing, Publishing, social media, Web sites, Writing and tagged action, brand management, business, Chicago, conversation, cross media, customer appreciation, digital marketing, experiment, Laura Gale, Lovemark, marketing, simple, small business, social-media, technology, web site. Bookmark the permalink.